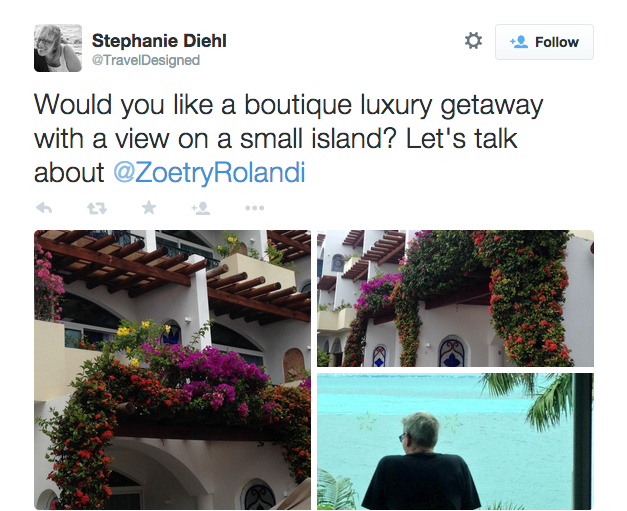 Come Along on @TravelDesigned Zoëtry Villa Rolandi Isla Mujeres Cancun Vacation! 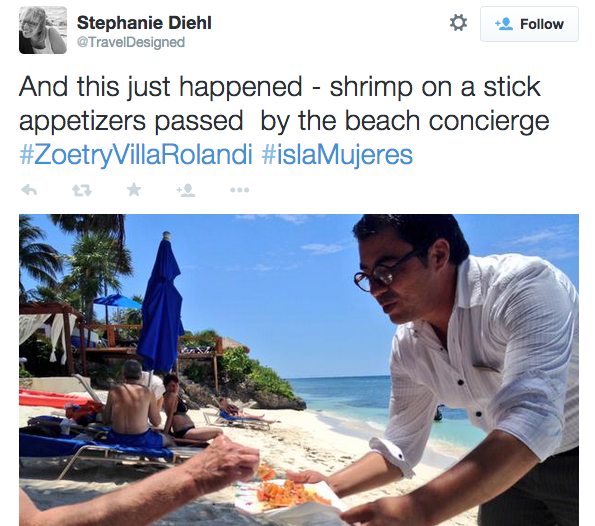 We love seeing our fans’ beautiful vacation photographs on Twitter and joining in on your experiences! 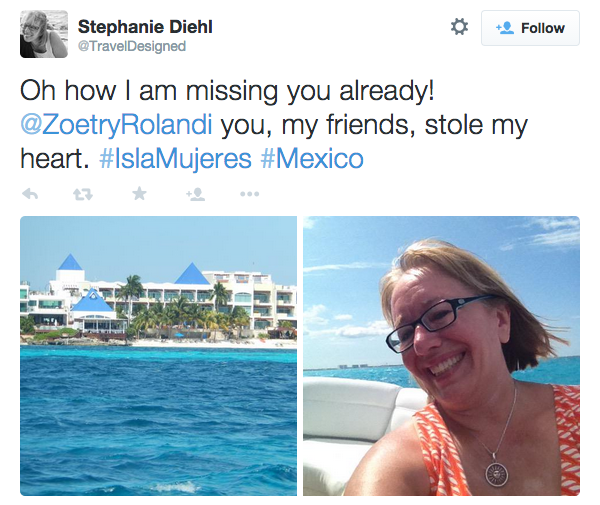 In honor of #WordlessWednesday, we’re excited to share some of the gorgeous snapshots that fan, Stephanie D. (@TravelDesigned) shared with us on Twitter from her recent Zoëtry Villa Rolandi Isla Mujeres Cancun vacation! Indulge yourself in the Art of Life® at Zoëtry Villa Rolandi Isla Mujeres Cancun, a luxurious, secluded retreat combining Endless Privileges® with holistic wellness, tranquility, and romance. Idyllically located on the exclusive island of Isla Mujeres, this 35 oceanfront room haven features gourmet dining, a Thalasso Spa, deluxe yacht services, Bvlgari® bath amenities and graciously appointed suites, only 25 minutes from mainland Cancun! 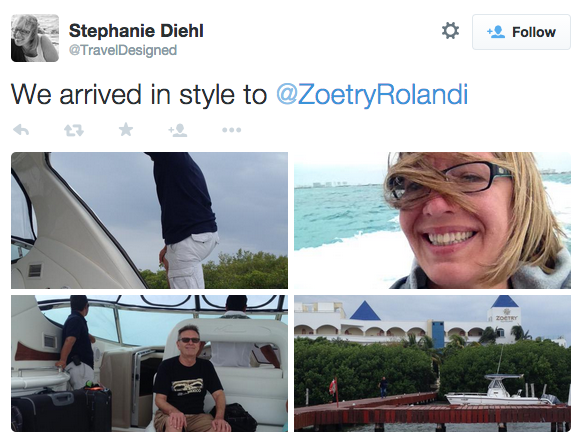 Follow along as we experience Stephanie’s magical Zoëtry Rolandi escape! 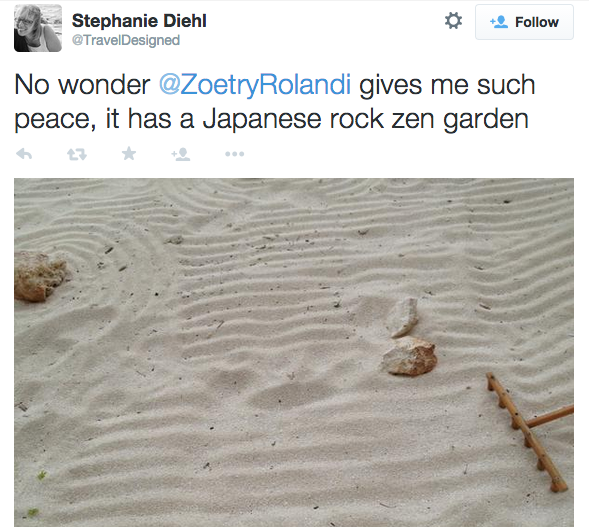 Do Stephanie’s photos have you ready to jet off to paradise? Heat up your summer with incredible rates of up to 40% off and up to $400 USD in resort coupons with Hot Hot Hot! Reserve your summertime getaway now through June 25th for travel until August 21, 2015! 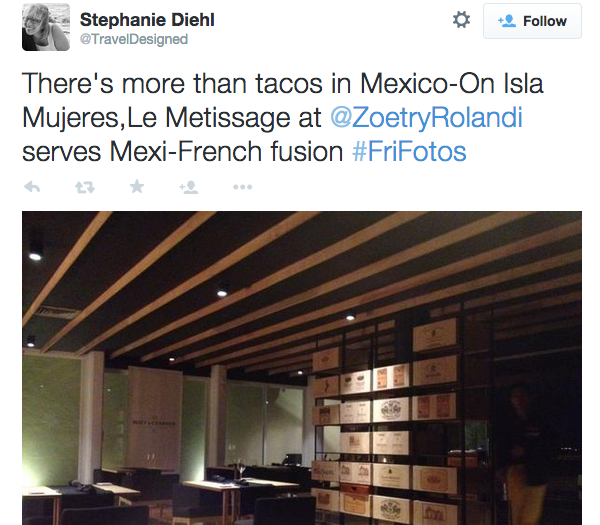 This entry was posted in Zoëtry Villa Rolandi and tagged beach, fan photos, Mexico, Twitter. Bookmark the permalink. ← Enjoy Honeymoon Bliss at Zoëtry Wellness & Spa Resorts!